​ESPN, do you care about the paying fans at all? 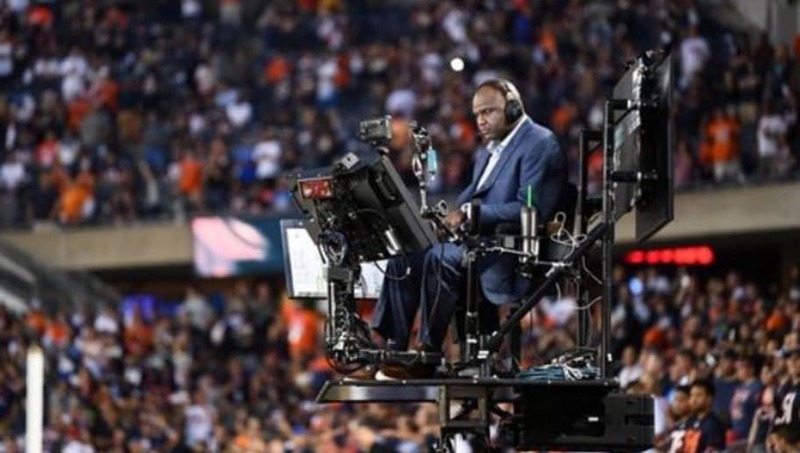 Yes, last night's incredible ​Packers-49ers game saw another solid edition of Monday Night Football but there was just one problem -- why is Booger McFarland sitting atop a crane that obscures the view of the field for so many fans in attendance? ​​Just look at how much space the crane covers. As if to add insult to injury, ESPN decided to put a television on the back of the crane to remind fans of the view they'd be getting if they had stayed home. So much for paying good money for seats right next to the action, right? Back in August, ​ESPN decided to put McFarland on the sidelines right next to the action on top of the moving crane. He would move along right next to the line of scrimmage to give fans at home a unique perspective. ​​Fans at home may be getting some better insight, but is it really worth giving the fans in attendance a "unique" perspective of looking at the back of a screen? ESPN needs to get rid of the crane because it's just plain disrespectful to the fans who spent their hard-earned money to watch the games in-person.